Home > Opinion > Estonia: Digital Utopia or Orwellian Dystopia? THERE is much hyping of the notion Scotland should emulate Baltic Estonia and become a “digital frontier”. Recently, Angus Robertson was using his National column to laud the idea of “Scottish digital citizenship” on the Estonian model. I’m all for embracing new technology. But there is a bit of me that worries when abstract references to a supposed high-tech utopia are substituted for dealing with real issues such as mobilising investment through the new National Investment Bank or taking hard decisions about introducing a new Scottish currency. So it is important to examine the experience of Estonia rather than flounder around in platitudes. But first, the sales pitch. Estonia has a population of only 1.3 million living in four million hectares, half of which is trees. Citizens can vote from their laptops and there’s nothing to fill out in doctors’ waiting rooms, because physicians can access patients’ medical histories on-line. Remember that Estonia’s digital utopia is based on a mandatory chip-I.D. card. Big Brother has arrived because every iota of your personal details are duly logged. Some might find that hard to square with human rights. Estonia’s e-residency permits citizens of another country to become residents without ever visiting the place. It takes about 10 minutes on-line. So far over around 27,000 people from 143 countries have become e-residents. In fact, more people applied to become e-residents in Estonia in 2017 than were actually born in the country. In addition, thousands of off-shore companies have registered in Estonia – it takes an average of 18 minutes. The more cynical among us might speculate that the ease with which foreign nationals and companies can acquire Estonian e-residency, or move assets through the Estonian cyberspace, might lead to wholesale money laundering – especially given the neo-liberal politics which dominates that country. 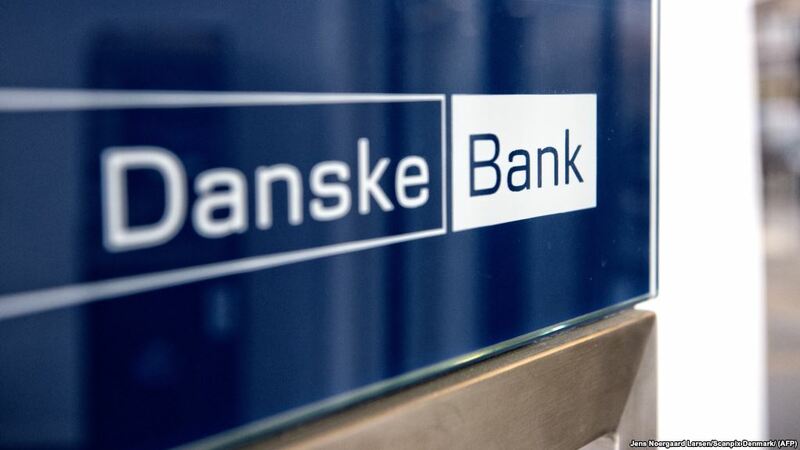 So it comes as no great surprise that last October Denmark’s largest bank, Danske Bank, found itself under criminal investigation by US financial authorities regarding a £200bn money-laundering scheme conducted by its Estonian branch. Foreign banks doing business in Estonia handled a staggering $1 trillion in cross-border flows between 2008 and 2017. Much of this cash came from Russia. Worse, Estonian e-systems are riddled with insecurities. In late 2017, for instance, the latest version of the country’s mandatory digital ID card – the cornerstone of Estonia’s whole e-state – was found to be vulnerable to hacking. This left every Estonian citizen (including foreigners) open to identity theft as a result of defective new software. In a panic, the Estonian police blocked the use of some 760,000 new e-ID cards. Unfortunately, citizens with these cards found themselves barred accessing their health records and bank accounts, until they were verified. Such is the danger of a universal cyber economy. Which suggests that Estonia is not quite the digital heaven that we are being punted. Nor is it a particularly left-wing place. Following the 2008 global banking crisis, Estonia’s political elite embraced austerity with the same alacrity they took up the digital market place. Between 2008 and 2011, Estonia’s right-wing government savaged public spending. As a result, unemployment soared from 4 to 16 per cent, while the country suffered the sharpest drop in GDP in the entire EU. Hitachi, the Japanese railways-to-banks conglomerate, has abandoned work on its £13bn nuclear power plant at Wylfa Newydd in Wales. Hitachi cites “rising costs” – which suggests that £13bn price tag is on the low side. As it is, the company is writing-off £2bn on the deal as well as putting 9,000 construction workers on the dole. One obvious theory is that Hitachi is trying to blackmail the Tory government into subsidising the mushrooming cost of the new plant. The company has also suspended early work on another nuclear power plant at Oldbury, in Gloucestershire, “until a solution can be found”. For solution, read taxpayer bucks. The real cost of nuclear power is simply too insane for a private company to meet. Last November, Toshiba scrapped plans for its proposed nuclear station at Moorside in Cumbria. 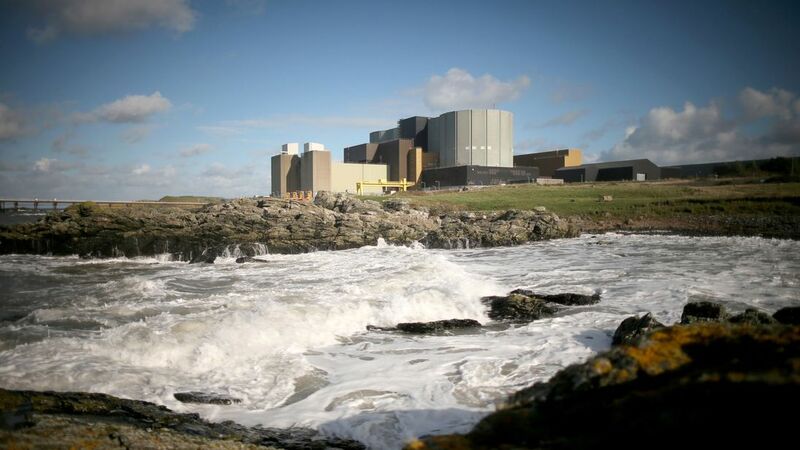 Of the UK’s six new atomic power plants, three have been abandoned, two are still in planning hell (and will likely stay there), leaving only one – at Hinkley Point in Somerset – as a contender. Hinkley is being built by the state-owned French company, EDF. It is already years late and over-budget – and only being built because the UK government has promised to charge ordinary electricity consumers an arm and a leg to pay back EDF. All of which means the UK now has an enormous energy black hole looming. To provide the annual 9.2GW of electricity that was to come from the abandoned Moorside, Wylfa and Oldbury plants will require circa 14GW of offshore wind power (to make up for intermittency issues). Could be done but that’s equivalent to 20 of the world’s biggest offshore windfarms. So as well as Brexit, the lights in England will start to go off sometime in the mid-2020s. Hopefully, and independent Scotland will be able to help out with some exported electricity. The SNP made such a hash of a system for sending out subsidy cheques – subsidies someone else was paying for – that farmers were driven into bankruptcy. The idea of our “citizenship” being in the hands of one of their IT projects is terrifying. Are you Jamsie in disguise? over the odds for expensive energy generated south of the border. for supplying power generated in Scotland to “balance” things out. Of course,we will still have to pay our share of UK state subsidies to these operators,as long as we are still “Better Together”. Big trouble ahead for England’s Tories trying to keep the lights on. The SNP have quietly abandoned the idea of the state owned energy company that Sturgeon pledged to set up in 2017. As you can see in this link, they’ve said it is up to the councils to do – as if they don’t already have plates that are quite full. The nuclear issue is an absolutely huge issue. With the existing fleet of nuclear reactors already being operated beyond their original design life, this has enormous implications for how the UK will secure its power over the coming decade. Scotland is self sufficient in power, has a surfeit of power, so exactly how will England secure the power it needs. Well for a starter, like oil, it will hold Scotland tight for the energy reserves it has. However on a wider basis will England try to bring back into use old nuclear stations previously mothballed because of their age. Will they bring back into use the two Hunterston stations whilst extending others into a period hugely beyond their original design life. Well one push comes to shove they possibly will with the risk being borne by the communities within whose locus these generation stations lie. Think of a Rover 95 or a Chrsler Avenger and you get the vintage of these stations ……and quite frankly would you want one of these opening up again near you? Well, you may have no choice!